Inhabited since ancient times, the Austrian area has a very long history of occupations, rulers, territorial struggles and war. The first to come were the Romans; they annexed the area in 150 AD, and made it a province. When the Roman Empire collapsed, Bavarians and Slavic tribes moved into the central and eastern areas. Charlemagne, the King of the Franks and Emperor of the Romans, conquered these lands in 788 AD. He encouraged colonization and introduced Christianity to the masses. Over the next few centuries a long series of rulers took charge and overseeing duchies (ruled by a duke or duchess) were established. Most faded into the obscure pages of history, except the powerful Habsburg dynasty. The House of Habsburg became one of the most important aristocratic royal houses of Europe, best known for being the origin of all of the formally elected Holy Roman Emperors between 1438 and 1740, as well as rulers of the Austrian Empire and Spanish Empire, as well as several other countries. The Habsburgs expanded and acquired additional crowns and lands through marriage, physical force and war, and in varied alliances and forms (especially with Hungary) ruled Austria for some 600 years from Vienna. And then in 1914, Franz Ferdinand, the Archduke of Austria was assassinated in Sarajevo. His assassination caused Austria-Hungary's declaration of war against Serbia. This brought Germany and other countries into the conflict, and World War I began. By war's end, over one million Austro-Hungarian soldiers were dead and some large European powers (including Germany and Russia) had lost vast tracts of land, and were militarily and politically defeated by the allies. 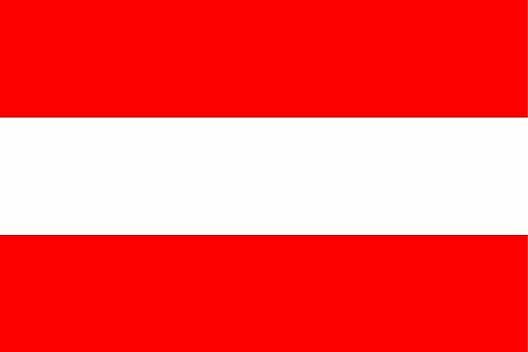 In 1918 the first Republic of Austria was established, ending the 640-year old Habsburg dynasty. The young republic quickly suffered massive inflation, unemployment, and near economic collapse. In 1933, the weak coalition government between the Christian-Social and the Social-Democratic parties gave way when Engelbert Dollfuss became Chancellor in 1932; his main mission was to tackle the problems caused by the economic depression sweeping across the country.